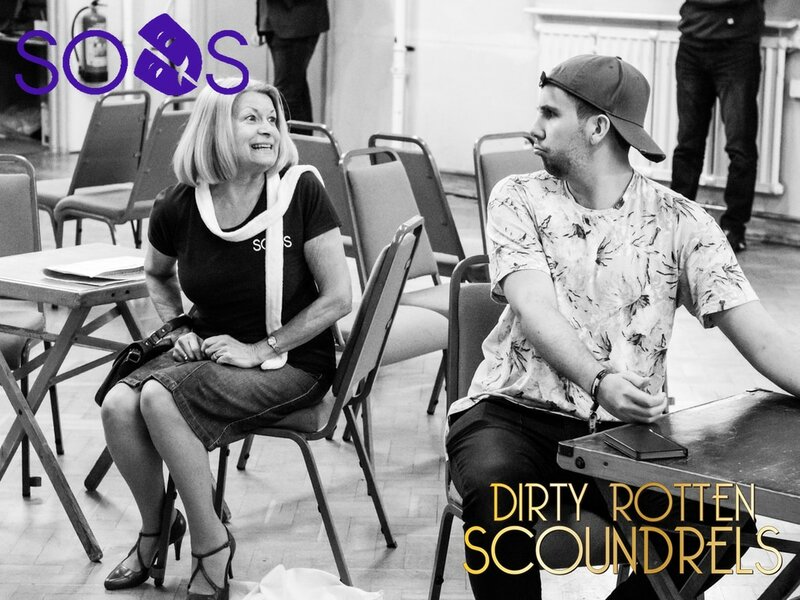 SOUTHEND Operatic and Dramatic Society will be breaking new ground when they present the Essex amateur premiere of Dirty Rotten Scoundrels later this month. The show has been a hit on Broadway and in the West End but one of the biggest challenges is ensuring the the show is slick and fast-paced. Professional productions used automated scenery to achieve this but, as artistic director Ian Gilbert explained, that wasn’t an option for SODS due to the prohibitive cost, so he has decided to use more LED screens than have been used before at Westcliff’s Palace Theatre. “The audience barely noticed the scene changes in the professional versions but they were massive because it’s all done to the score,” said Ian. 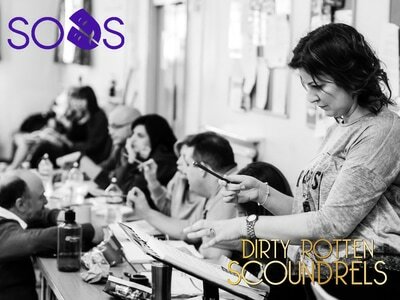 “The score isn’t just blackouts, listen to a bit of music and lights-up, like the old-school musicals, it’s got that new-school feel where when there is scene change music and there is still action going on to link all those scenes together. But where some societies have used elements of LED screens at the Palace before, for backdrops or around the proscenium arch, SODS will be using them for the backdrop and wing portals. Backstage crew and members of the cast will also bring on furniture to keep the storyline moving. “What we’ve tried to do is create the illusion of automated scenery through the cunning use of LED projection and elements of furniture,” added Ian, who also directed SODS’ Essex premiere of Rock of Ages last November. “It’s a hundred steps further on from where we were two or three years ago when we produced Sister Act and did the same thing with a projector, rather than using the LED screens. “With LED the details are going to be stronger, the content is going to be brighter and it’s going to have much more of punch and wow factor for the audiences.” The friendship between SODS and Leigh Operatic Dramatic Society has further been cemented with LODS’ chairman Drew Seal designing the video content for the screens, which are being provided by Panalux, whose recent projects include Spectre, Game of Thrones and Taboo. The stage version of Dirty Rotten Scoundrels follows the story of the 1988 film starring Michael Caine and Steve Martin about two conmen trying to be top dog in a town on the French Riviera. 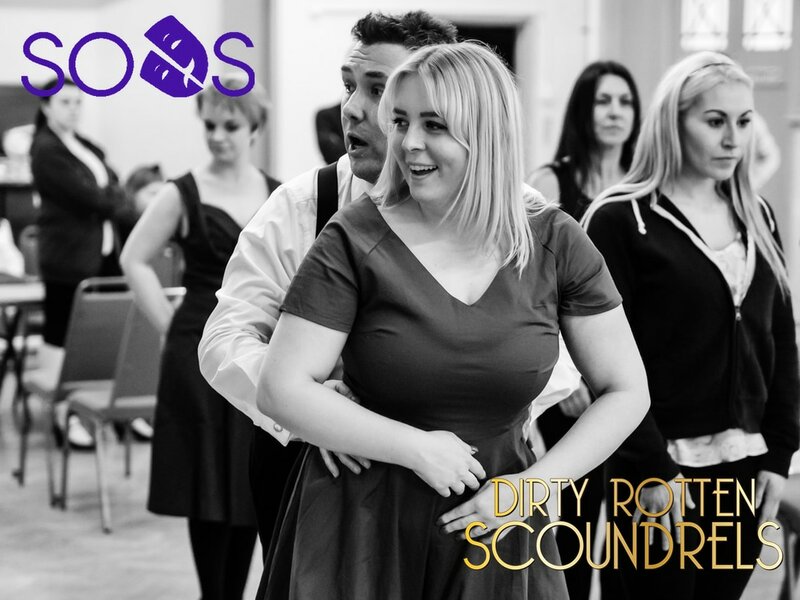 The musical version pays tribute to the golden age of musicals with large company dance numbers and memorable songs. 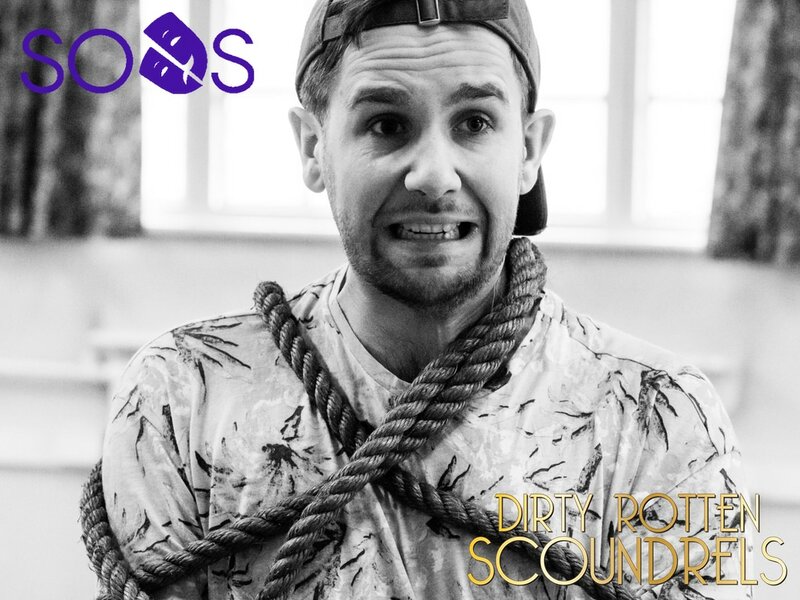 Scott Roche plays Lawrence Jameson, the part played by Caine in the film, and SODS newcomer David Gillett plays Freddy Benson, the character played by Martin, while Heather Cooper will be playing Christine Colgate. 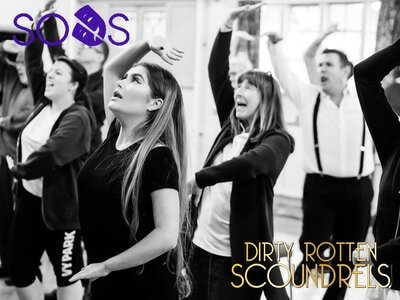 Cassie Estall and Becki Wendes have choreographed the show and Clare Penfold is the musical director. SODS’ production of Dirty Rotten Scoundrels runs from Wednesday, March 29 to Saturday, April 1 at the Palace Theatre, in London Road, Westcliff-on-Sea. Evening performances commence at 7.30pm, with 2.30pm matinees on the Thursday and Saturday. Go to www.southendtheatres.org.uk or call 01702 351135 to book tickets.